Targaryen Filigree Stainless Steel Cufflinks $135.00 No one can usurp your style when you wear these Targaryen Filigree Stainless Steel Cufflinks, featuring the raised three-headed dragon sigil of House Targaryen over a matte black enamel background. The swivel backing features an etched Game of Thrones Logo. You'll mesmerize everyone you meet. Rabbit and Carrot Cuff Links $345.00 What's up doc? 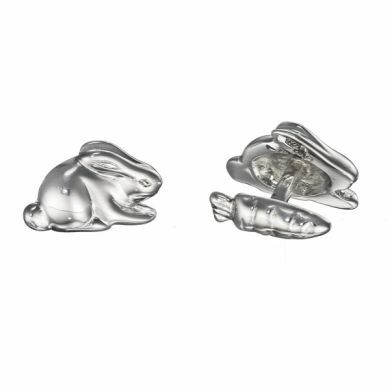 No need to chase a bunny trail or bunny tail with these sterling rabbit and carrot Rotenier double-sided cufflinks. A great gift for the Easter enthusiast, these pure sterling silver rabbit and carrot cuff links are a lighthearted addition to any celebration or occasion. Let some bunny know how special he is with this playful combination of furry friend and scrumptious vegie snack! 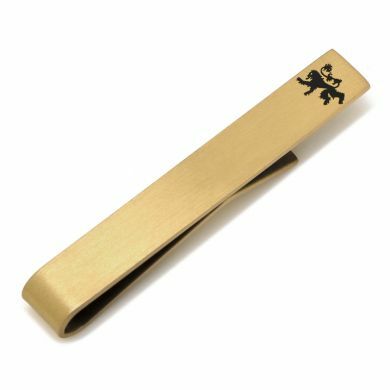 Lannister Icon Tie Bar $36.00 Channel your inner Jaime by sporting this sleek Lannister Icon Tie Bar, featuring the lion of House Lannister. The tie bar is brushed gold plated metal, with the enamel filled sigil of House Lannister. Lavender Floral Etched Cufflinks $120.00 Purple is the color of royalty because in ages past it was a difficult color to reproduce. 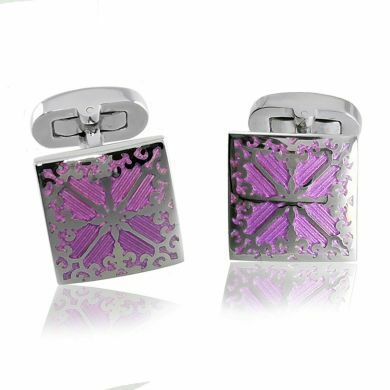 These Lavender Floral Etched Cufflinks will make you feel like royalty whenever you wear them. Beautiful lavender etched enamel with graceful silver floral accents make these cuff links an elegant addition to your wardrobe. 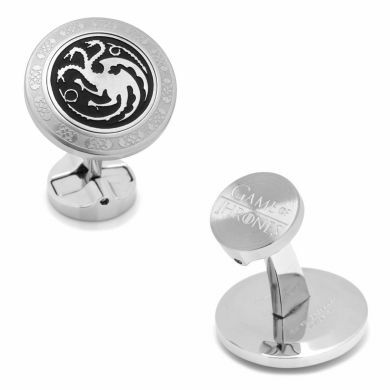 Stark Direwolf Sigil Cufflinks $65.00 "Winter is Coming!" Actually, it's already here - show your allegiance to House Stark with these Stark Direwolf Sigil Cufflinks. The silver antique finish echoes the ice of the North, with detailed die-cut accents for incredible detail. The fixed backing features the official Game of Thrones logo for a polished look. Rectangle Blue Stone Stud Set $125.00 Blue is the color of peace and trust, and this Rectangle Blue Stone Stud Set is a great gift idea for anyone who needs to do some communicating or negotiating. 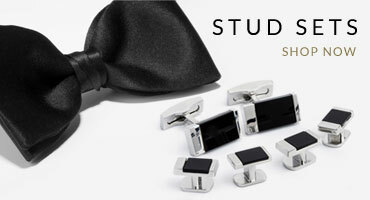 These rectangle cufflinks and studs, with a beautiful silver-tone finish and semi-precious stone inserts are both beautiful and elegant and are sure to make a lasting statement. We pride ourselves on providing our clients with the very best and latest styles in Designer, Sports, Engraved, and Novelty Cuff Links from around the world. 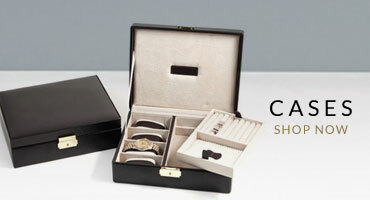 We also carry a large selection of the very best in other accessories including tie clips, cufflink cases, stud sets. With our industry leading experience in the production of custom cufflinks and other men's accessories, we can produce custom engraved, color custom logo and complete custom cuff links and accessories from just 1 piece to hundreds â no order is too small! Take a look at our list of satisfied customers who come back for more! We are the perfect place to shop for any occasion including Graduations, Weddings, Father's Day or Christmas. Let's not forget about the Groomsmen gifts! Come take a look and we know you won't be disappointed.